When importing custom objects, solutions, or person accounts, you can use external IDs to prevent duplicate records from being created as a result of the import operation. 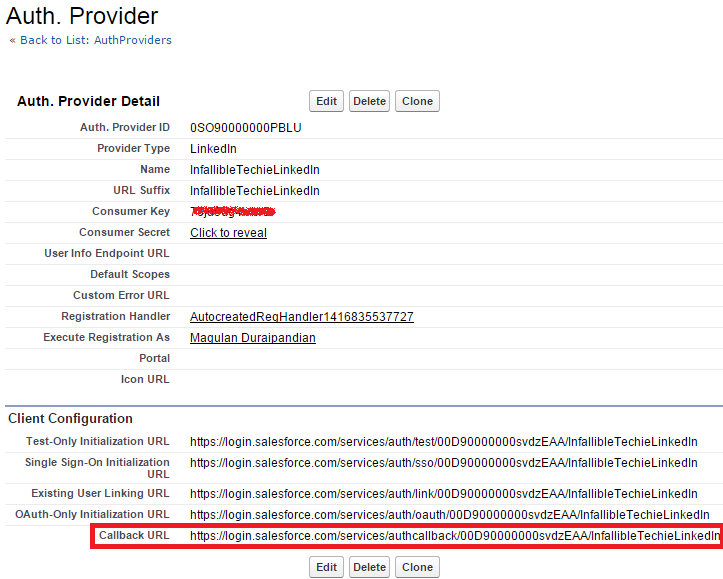 An external ID is a custom field that has the “External ID” attribute, meaning that it contains unique record identifiers from a system outside of Salesforce. 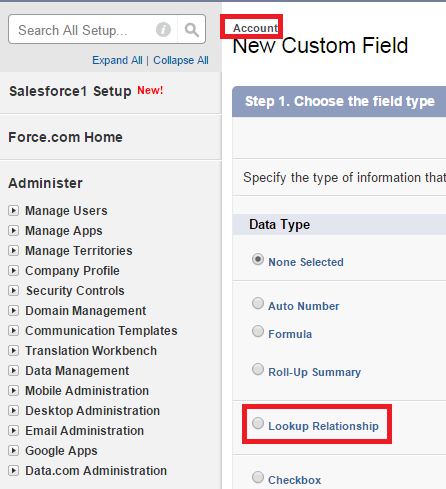 When you select this option, the import wizard will detect existing records in Salesforce that have the same external ID. Note that this operation is not case-sensitive - for example, “ABC” will be matched with “abc”. 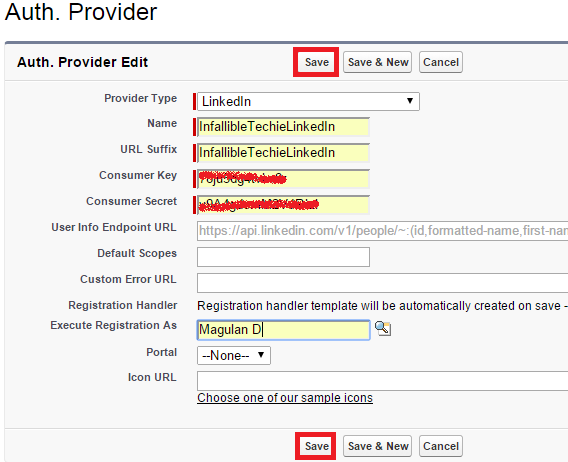 However, there is an exception: if the custom field has the separate “Unique” attribute and the case-sensitive option for that attribute is selected, uppercase and lowercase letters will not be considered identical. 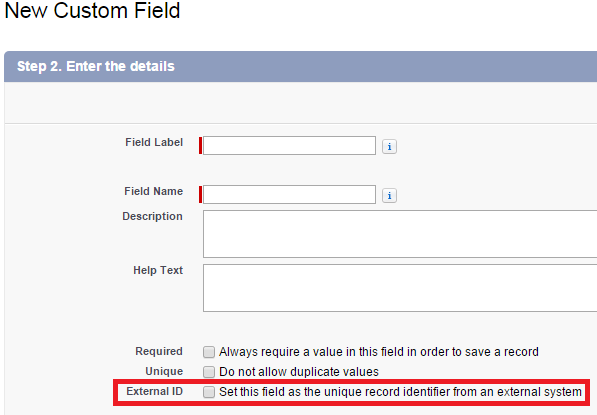 When a field is made as external Id, the field will be automatically indexed. Additionally, if you have an external ID field, the field becomes searchable in the sidebar search. 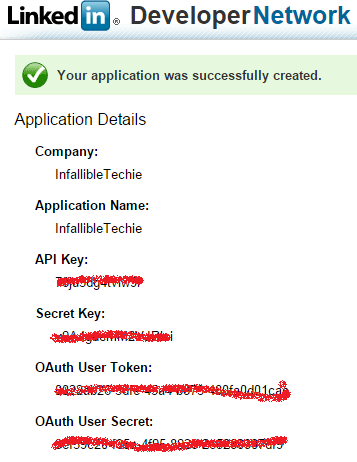 You also can use the upsert API call with the extenal ID to refer to records. 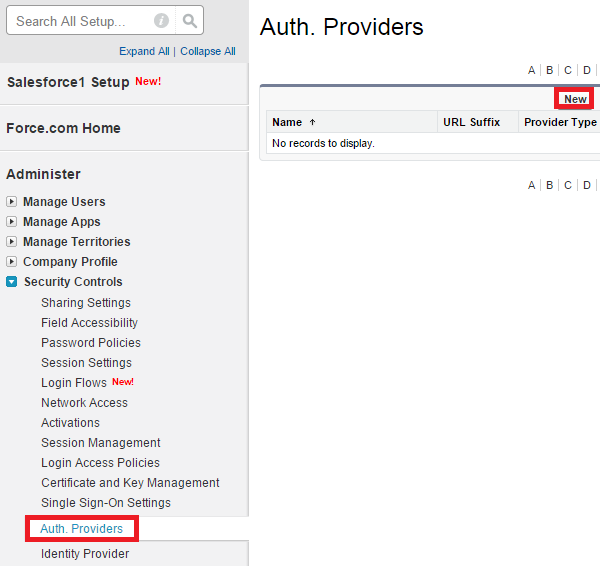 If we create External Id field, it will be indexed by default by Salesforce. 1. If External Ids are matched, it will update the record. 2. If External Ids are not matched, it will create a new record. 3. If External Ids are matched more than once, it will throw an error. 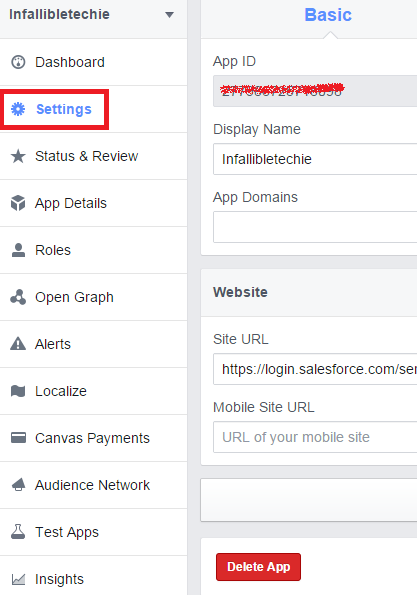 How to set a field as External Id field? After the execution of the above command, now try to use Ping command. It's important to spend the time setting up the role hierarchy because it's the foundation for the entire sharing model. A role hierarchy represents a level of data access that a user or group of users needs. 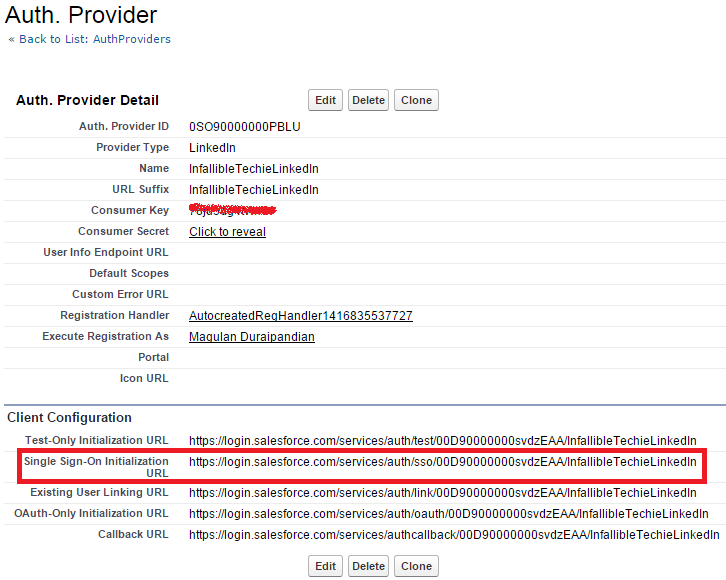 An organization is allowed 500 roles; however, this number can be increased by Salesforce. As a best practice, keep the number of non-portal roles to 25,000 and the number of portal roles to 100,000. As a best practice, keep the role hierarchy to no more than 10 levels of branches in the hierarchy. Modeling the role hierarchy begins with understanding how the organization is structured. This is usually built from understanding a manager’s scope, starting from the top. The CEO oversees the entire company. The CEO usually has direct reports that can then be segmented by Business Unit (Sales or Support) or geographical region (EMEA, APAC). That person then has direct reports that could be further segmented, and so on. The role name should represent the roles and responsibilities. 2. Scroll down to the end of the page. 4. 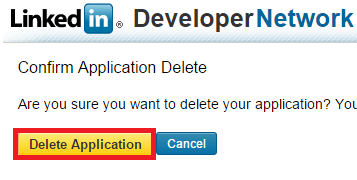 Confirm it by clicking 'Delete Application'. here 'My_Account_Team' is the List View Name. 1. Below is the code snippet , How to get the code coverage for the constructor? 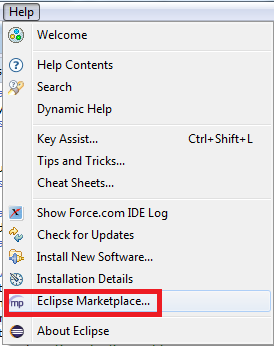 Salesforce doesn't support more than 1 level of inner classes. 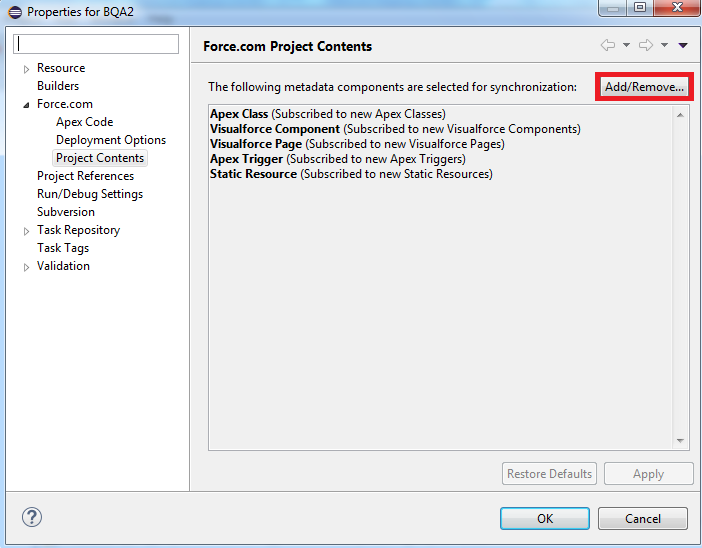 3.How do you monitor future calls in Salesforce Standard UI ? 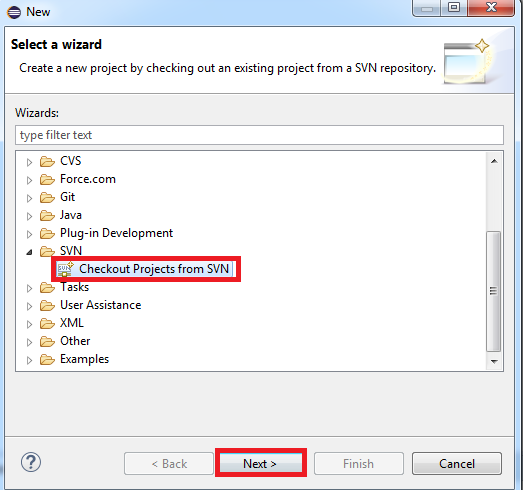 4.How to pass list of checkboxes checked using javscript to controller class ? Set the id to the checkbox and get the value using JS. 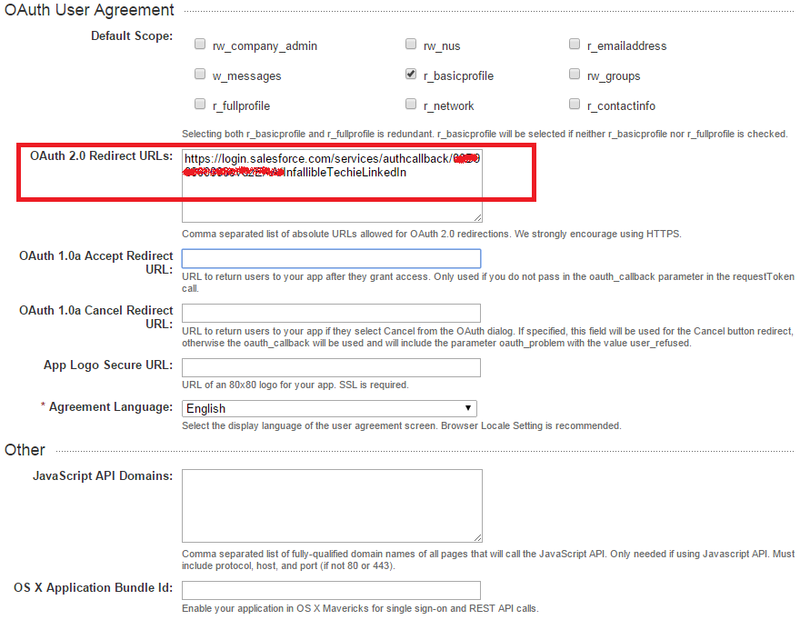 5.How do you distinguish between xml and json in Rest API Call while invoking web service? 1. Click File --> Preferences. 2. Click Mail and click the Signature tab. 3. 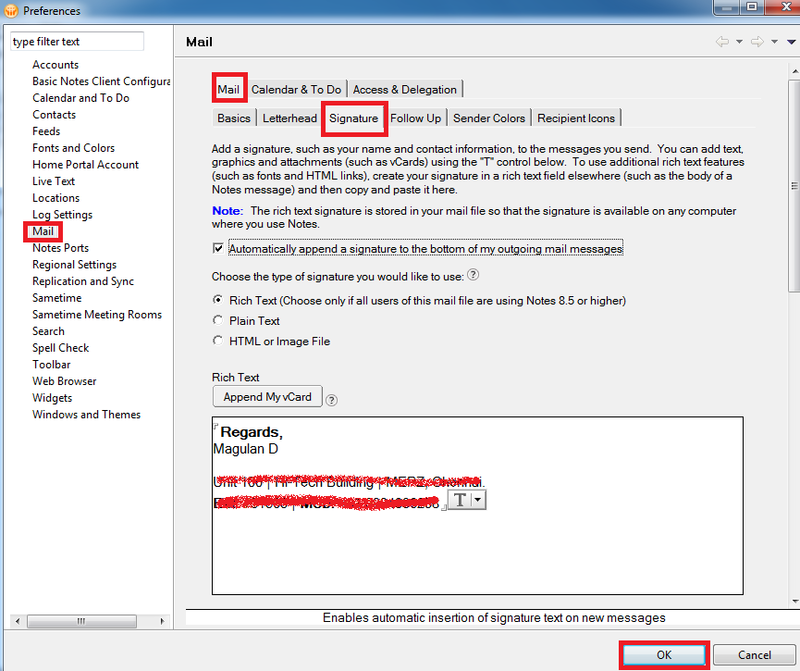 Select Automatically append a signature to the bottom of my outgoing mail messages. 4. Enter text in the Signature field. Click the T control to add rich text features such as graphics and attachments. 5. Optional: Click Append My vCard, and then change any of the information in the fields if needed. 6. Optional: Click Append vCard to Signature. 7. Optional: To move the vCard file to a location other than following your signature, cut and paste it to the new location. 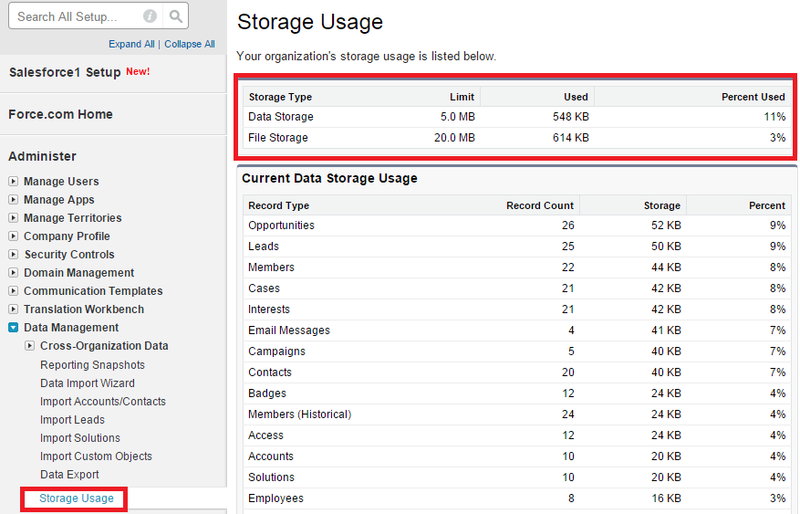 If you face STORAGE_LIMIT_EXCEEDED issue in Salesforce, Go to Setup --> Administer --> Data Management --> Storage Use. Sales Cloud refers to Sales module in CRM. Sales module include Lead Conversion, Account Management, Opportunity Management, etc. 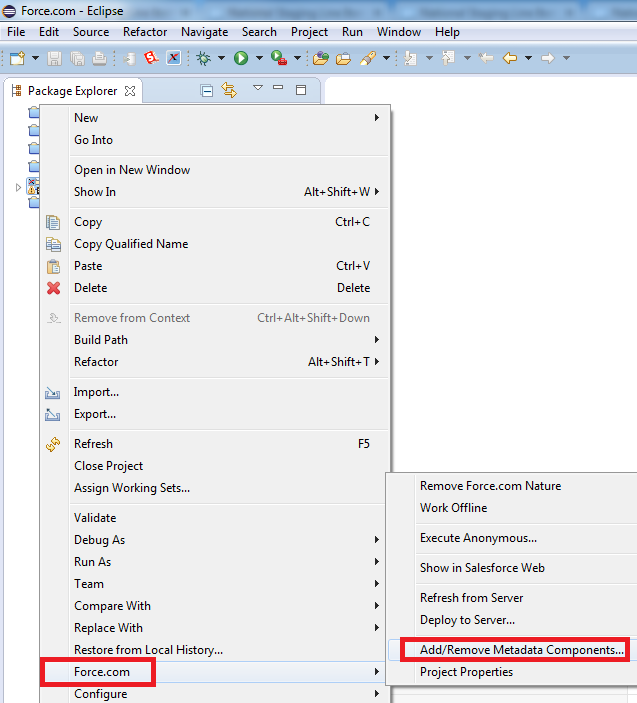 How to load data from CSV file to Salesforce.com using Informatica? 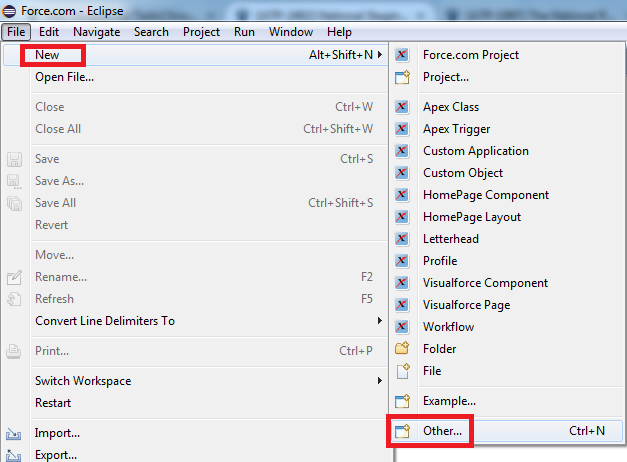 Go to Folder -> Create to create a Folder. 2. Source --> Import flat file. 3. Tools --> Targer Designer. 6. 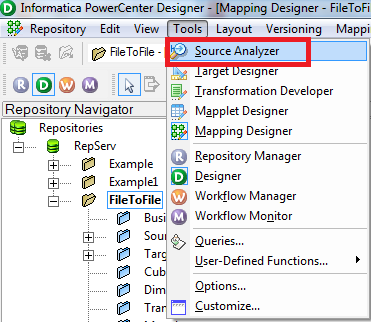 Drag and drop source, source analyzer will be automatically created. 7. Drag and drop target. 1. Connection --> Application Connection. 4. 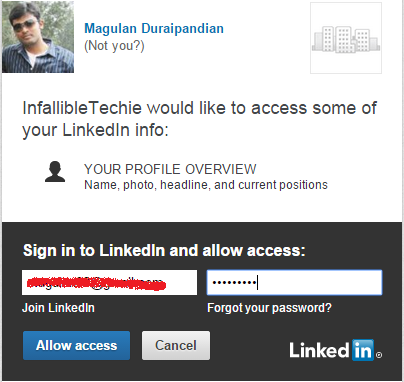 Enter the username and password(security token is must if you are accessging out of IP ranges). 5. Task --> Create Task. 7. Tools --> Workflow designer. 8. 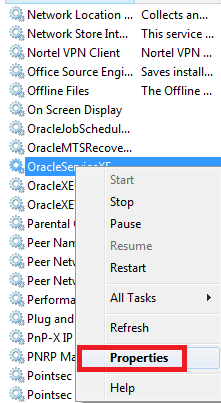 Drag and drop Task. 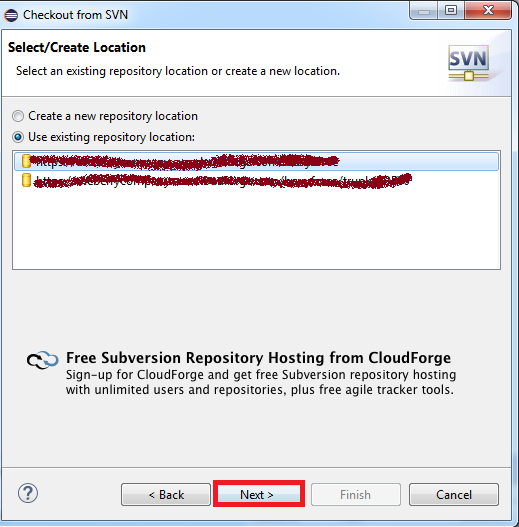 How to find the Server Instance of Production for custom domain? 1. 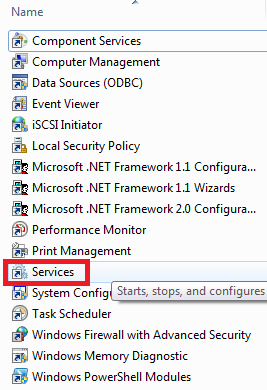 Go to Setup --> Domain Management. 2. Check the Right Frame URL value. 1. 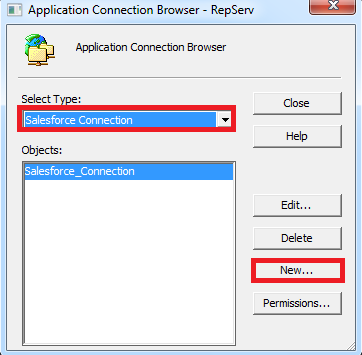 Create a connection for Salesforce in Connections menu. 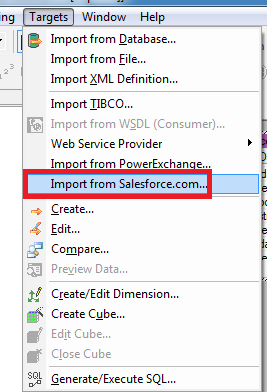 In order to avoid Import from Salesforce.com option missing issue, kindly close the PowerCenter Designer and open it again. 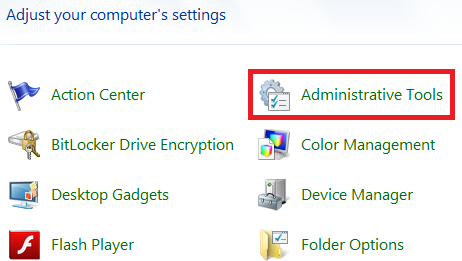 Kindly create a folder in Repository Manager under the active Repository. 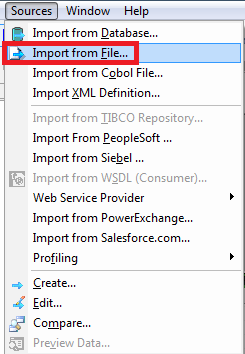 Check the below image for creating folder in Repository. 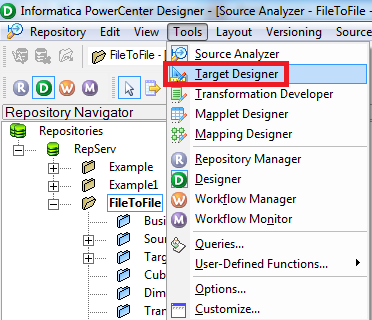 How to fix pmora8.dll missing issue in Informatica? 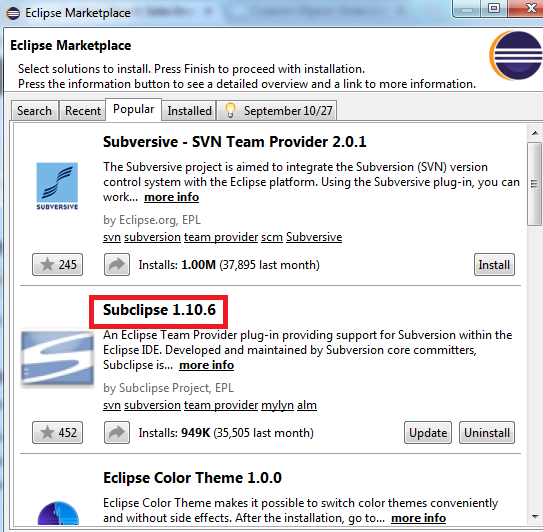 Check whether the installed Informatica server and Database(Oracle, Sybase, etc..) are for same for your version of OS. For example, if you have 32-bit version of OS, make sure that your Oracle and Informatica server are for 32-bit version of OS. 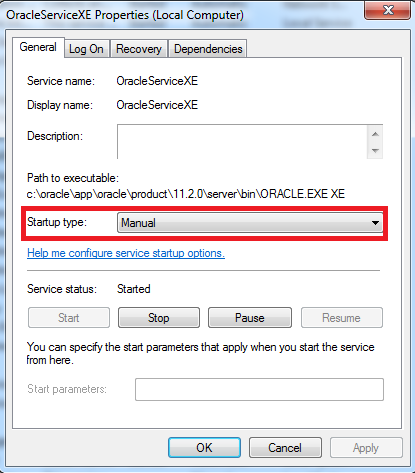 Also check whether the environment variables are set properly in system and user variables. 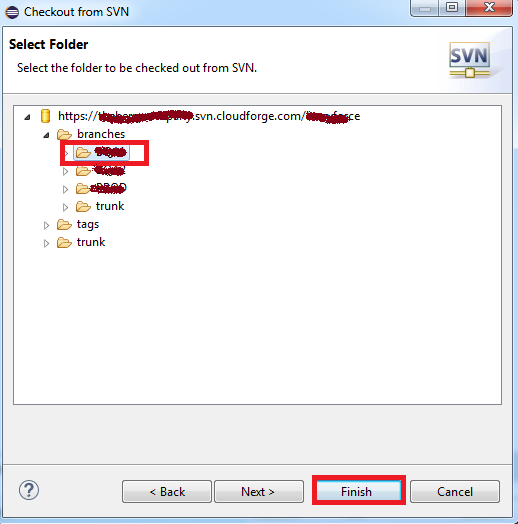 How to read a csv file and show it on a Visualforce page?